A major packaging plant in Indiana manufacturers plastic bottle caps. After being formed, the plastic caps are blown through numerous decelerator tubes to slow down and fall into a conveyor. Throughout the process, dust from the spinning caps is exhausted out the top of the units and blown into the interior athmosphere of the processing plant. Disposible tacified polyester media was laid over the top of the exhaust opening, but the caps were getting caught on the media and hung there, disrupting the processing system. 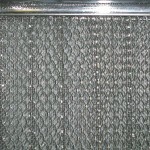 PreVent’s Model U air filter can be custom sized and shaped to fit individual equipment exhaust filter specifications. 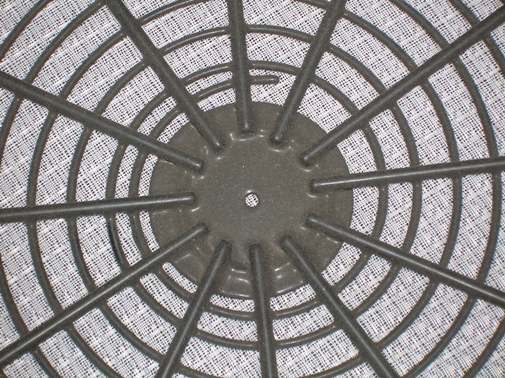 Loop attachment is sewn onto the filter’s vinyl edge, and hook attachment with adhesive is adhered to the equipment’s exhaust perimeter. Made with washable/reuseable polypropylene, the media’s smooth fibers are easy to clean, and won’t stick to the caps. The electrostatic properties of the media enhance particle capture.